Furniture is used to inject personality into a space, whether it’s the striking oxblood Chesterfield wing chair lurking in a dimly lit corner or the eye-catching multicoloured patchwork settee taking up half the living room. Furniture speaks volumes about its owner; tattered, worn out fabrics full of coffee stains don’t exactly paint a remarkable picture so maintaining its quality is a must. Though there is another option. 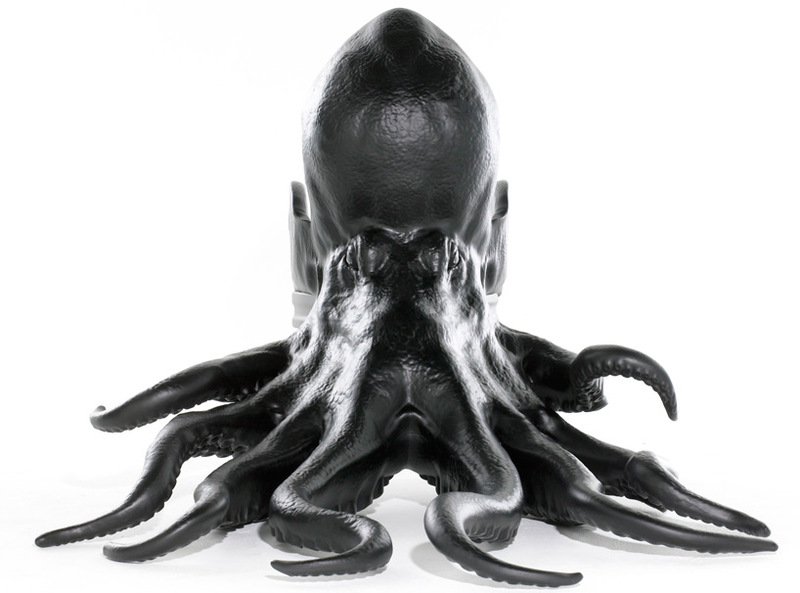 Why not send the right message by entertaining dinner guests sat at the head of the table abreast a giant octopus with 1.5-meter tentacles snaking behind you? With this monster at your back you’ll sew discomfort in comfortable style – perfect for those awkward meals with the in-laws. With over thirty professionals working tirelessly to hand craft each piece from rich leather and compressed foam, overseen by designer Maximo Riera [link bold text to: http://­max-riera.­squarespace.­com/], you can be sure that your seat has been painstakingly produced for perfection. The sculpted condensed foam is brought to life through masterful hand painting, bringing exquisite detail to this inky beast of a chair. 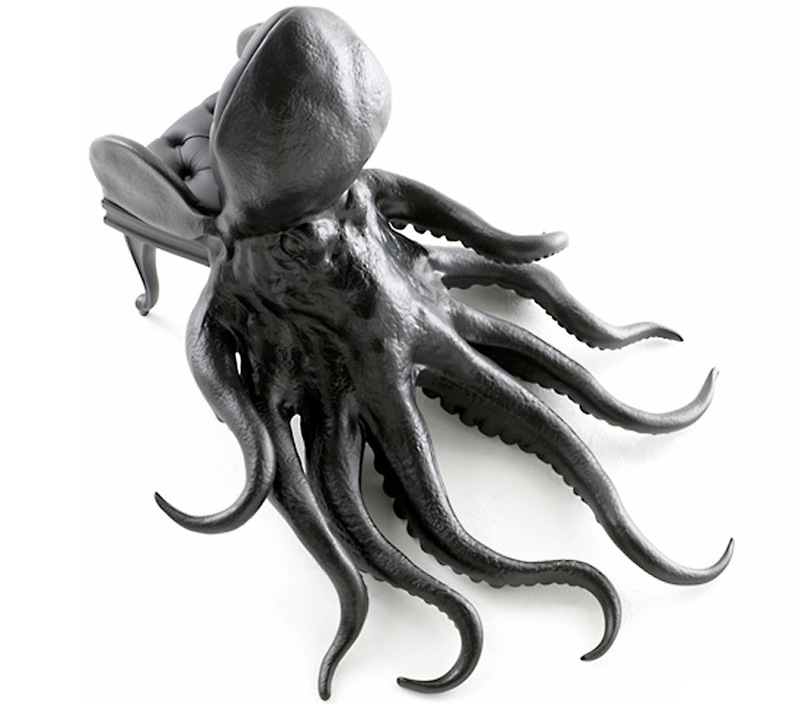 Upholstered in luxurious black leather, the armchair’s seat is one of the only places in your entire house to escape the piercing gaze of the life-like leviathan. Whilst perfect for scaring your daughter’s boyfriend into a change of pants, we understand that this brainshock of a throne isn’t for everyone. So why not consider one of the other four chairs in Maximo Riera’s Animal Chair Collection? 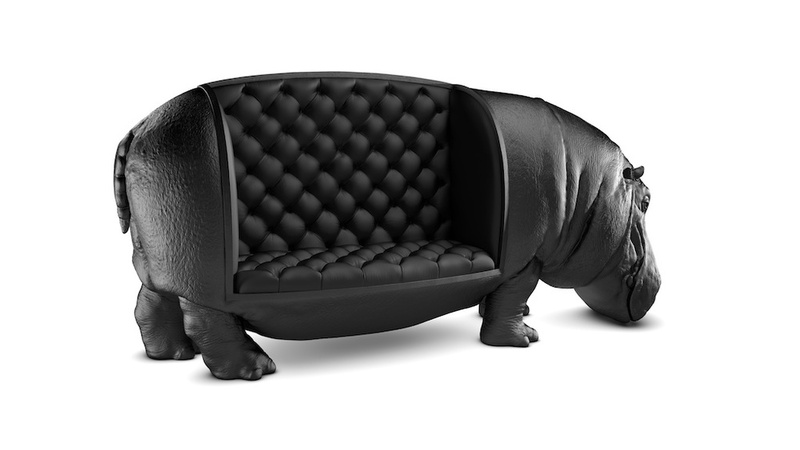 There’s the Hippopotamus Chair, which could be considered more of a two-seater sofa if you’re in the mood for sharing. The imposing life-sized mass of this chair demands your attention. 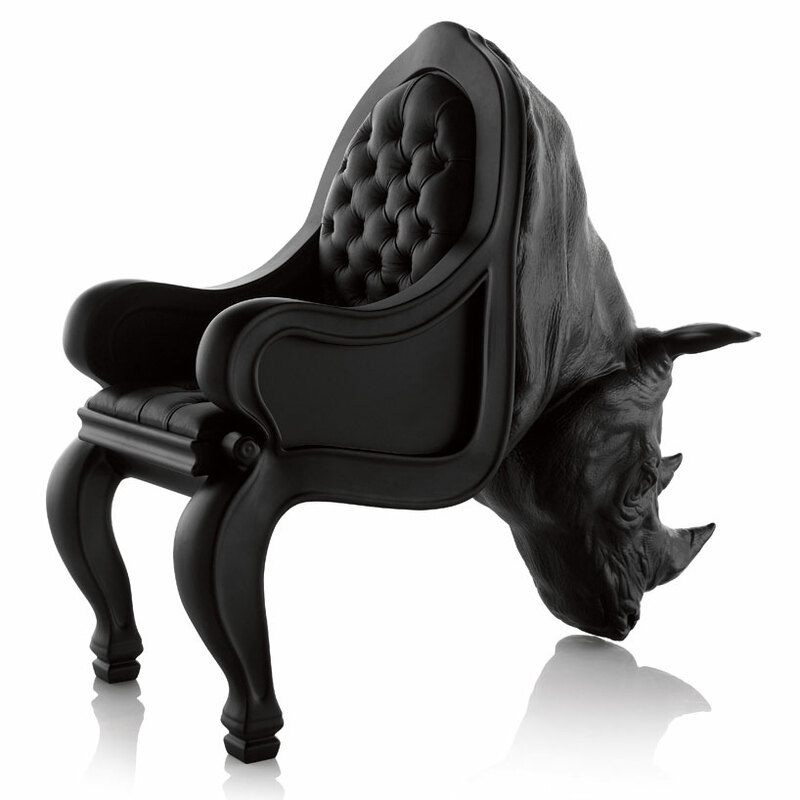 If the Hippopotamus Chair is not quite right for your home, consider the Rhino Chair. With its intricately detailed size and presence, this throne is another choice guaranteed to stun any guest into silence; think shock and awe. What better animal is there to represent your own might and resilience than the majestic horned rhino? This armchair comes complete with supple leather upholstery and a sense of power and authority that you’ll find quite difficult to contain. Why not invite your in-laws for dinner and spend some quality time gazing at them over your wine glass whilst perched on this beastly throne? Maximo Riera’s Animal Chair Collection [link bold text to: http://­max-riera.­squarespace.­com/­animal­cha­ir­col­lec­tion/] also includes a chair set inside a giant elephant, an armless chair resting on the tail of a whale, a seat modeled from the European Rhinoceros Beetle and a chaise lounge seat set in the back of a walrus. Each design in the collection is produced to the same ultra-high standards of imposing life-like quality; bringing onlookers up close and personal with the animal kingdom in a new, unprecedented way. Unfor­tunately, Maximo’s pieces range from £35,000 to £65,000, so if these are a little out of your price range and fancy adorning your home or garden with the animal kingdom, why not take a look at our range of large ornamental pieces, which include a larger selection of animals to complete your home.